Card Reader	There is 1 product. 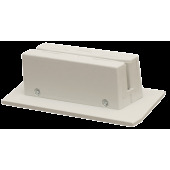 Readers LPOS-MAG are designed for professional use and allow persistent heavy use. Distinctive and very important feature is the wide range of speeds pulling a magnetic card that makes it extremely easy for any user, including unprepared. Debit and credit card data verification; verification data about the card owner. LPOS-MAG reader could be attached directly to the clerk's computer, who deals with clients' magnetic cards. 2. Automation of sales and service desk operations. You can authenticate staff and grant access permissions for cash operations, manage time metrics of the personnel working time and use card readers to serve clients' magnetic cards. 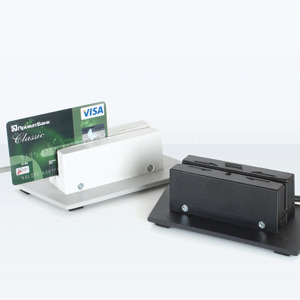 Our LPOS-MAG readers are great for authentication staff by their ID cards.